Mellerware presents the Helios double solid plate hotplate. With individual adjustable temperature control and 2 x 1000W of power the mellerware double hotplate is powerful enough to ensure your meal is cooked to perfection. 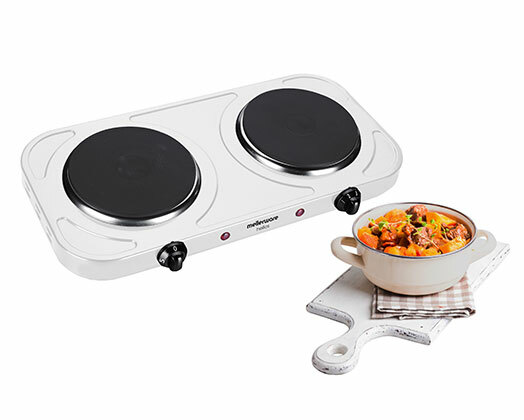 The Helios double hotplate also has power indicator lights. Double cooker with solid hotplates.